Today I'm talking about getting clear on the "HOW" of your freelance rendering business. Before your first client, it is necessary for you to have a clear process in place. This will not only benefit you, but your client will know what is expected of them as well. You don’t want to receive emails asking “What is next?”, and your client doesn’t want to chase you down for answers either. Specify the delivery method for submittal. (Dropbox, Google Drive, website submission.) Note: I don’t recommend having them email this checklist of items unless they can keep everything in one email. If these items are sent in separate emails the details will get lost and you will spend too much time fishing through them to find specific requests when creating the drawing. Once the client agrees they can sign your contract and submit a retainer (highly recommended, once again, more on this in an upcoming post). Commence work only after contract has been signed and retainer has been received. Collect as much information as possible before drawing. Be sure to continue to collect these details in one central location/folder that is shared with the client. Again, attaching documents to an email is setting you up for disorganization and missed elements. Move through the drawing workflow. Ask questions to your client as needed, be sure to add any details to shared folder. Submit initial drawings for review. These may be greyscale, have a watermark, or be black and white drawings pre-render, depending on the request and/or your desired workflow. Take care not to submit at high resolution render at this stage. 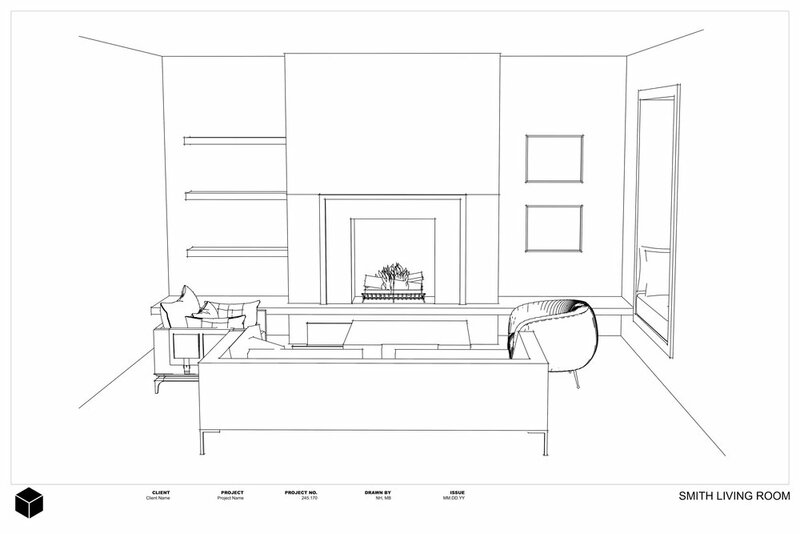 Help your client to be aware that this is a preliminary drawing to ensure the design matches their vision. 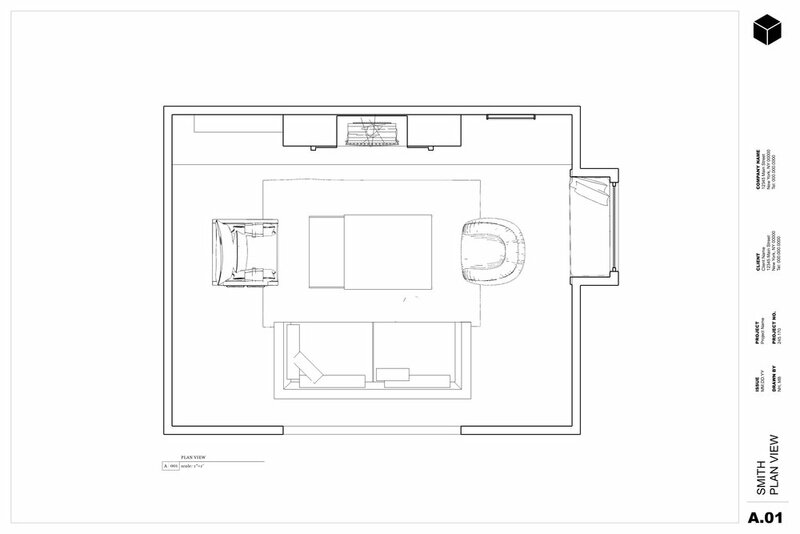 After receiving revision comments from the client, revise the drawings and render at a higher resolution (if applicable). Deliver final product and bill for remaining fee. Help your client to be aware that high resolution photorealistic renderings can take 5+ hours to render and to allow for this in their timeline. Next week I'll be concluding this series with the pricing and marketing of offering modeling and rendering services, along with a post geared towards interior designers who would like to hire out for these types of services. Today I'm talking about getting clear on the "WHO" and the "WHAT" of your freelance rendering business. WHO ARE YOU OFFERING YOUR SERVICES TO? In the beginning of my own freelance 3D modeling and photorealistic rendering journey, I offered these services directly to residential and commercial clients. These clients had a somewhat clear vision and they just needed to know if their design would work out the way they’d hoped. I enjoyed this process because I was able to interact with the client directly, measure the space, and still get to exercise my creative muscle in helping them work through their ideas. The downside to working directly with the client is “scope creep”. These projects can quickly turn into helping with sourcing materials, project management, and so on (a full service interior design project). If you are hoping to solely offer drawing services, I advise offering these directly to other designers. The on-boarding process is much easier. When I work with residential clients, there is the initial site visit, phone calls, emails and then the contract. When working with other designers, they send a project request, I quote them, and we proceed. I like this clear and concise path. Once you have a good working relationship with a designer, adding another project to your queue becomes easy and you each know what to expect from each other. When your business is focused on a niche like 3D modeling and rendering your workflow is more predictable and clear. While each project is still unique, the approach that I use in each is always the same. Contractors, real estate agents, real estate developers, product designers, etc. This has similar upsides to the above. This isn’t my preferred client simply because I come from the background of being an interior designer, so I enjoy staying in that field. NICHING DOWN EVEN MORE, WHAT SPECIFICALLY ARE YOU GOING TO OFFER? What format will the client receive this file in? JPEG, PNG, DWG, PDF, etc. My best advice for is to get out a pen and paper and record the target audience that you will start your business with (it can change later!) and what you will be offering. Don't try to be everything to everyone, choose a few from the list above that you enjoy creating. Next: The "HOW". The process of working with clients from on-boarding to final delivery.